Life happens: A broken-down car. A leaky roof. A broken bone. 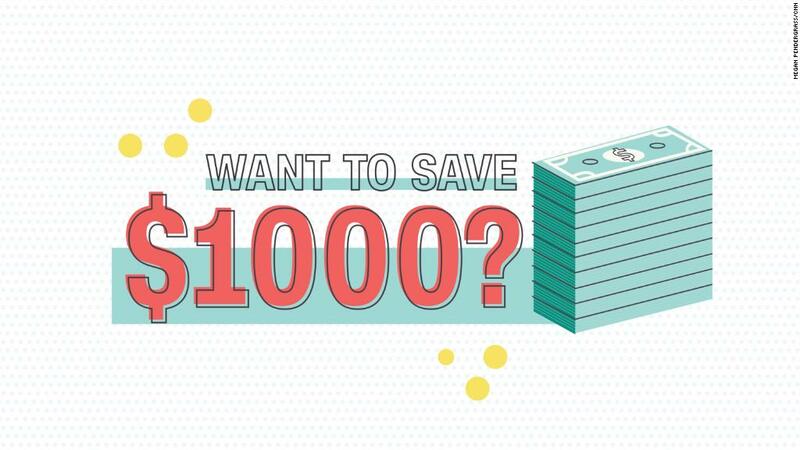 If you were hit with a $1,000 emergency, would you be able to cover it? For the majority of Americans, the answer is no. Only 39% of Americans say they would be able to pay for a $1,000 unplanned expense, according to new report from Bankrate. "Even though unemployment is down and there's been a recent uptick in wages, we aren't seeing the needle move savings," said Greg McBride, chief financial analyst at Bankrate. Unexpected bills aren't uncommon. More than one-third of households had a major unplanned expense last year, the survey showed, with half of those costing at least $2,500. Nearly one in five Americans said they would put the expense on a credit card, the report stated, which usually makes the cost even higher as you pay off the interest. That's why experts usually recommend you have an emergency fund. "Having that emergency savings fund will help you sleep at night before and after that unplanned expense," said McBride. He recommended having six months of living expenses to help blunt the financial blow of a surprise bill. While that can seem like an insurmountable goal, every little bit helps. "In the last recession we had nearly 7 million people who were out of work longer than six months," noted McBride. "To someone who doesn't have any or very little extra funds, accumulating six months of expenses sounds like climbing Mount Everest, but that is the destination." Have a portion of your paycheck go directly into a savings account, McBride recommended. "Too many people try to save what is left over at the end of the month only to find out there is nothing left over. You have to flip the equation around: save first, then spend what is left over." The best way to make saving a habit is to start early. "The sooner you can get in that habit the better," McBride said. "If you can do it when you are young and not making much that, the habit will stick with you as your age and income grows." Remove all temptation to spend your emergency savings by keeping the funds separate from your checking account. Keep your emergency savings stash away from your checking account. "It has to be a dedicated savings account," suggested McBride. Interest rates on savings accounts are still recovering from their tumble in the wake of the financial crisis, so it's a good idea to shop around to find the highest rates. Currently, your best bet is likely an online bank account.